Firstly, let me get this straight. I am not one of those people who will come over all pompous regarding Rugby being a man's game, and Association Football being a game for theatrical, diving prima donnas. I like both sports. Nor am I jumping on the bandwagon of the Rugby World Cup but anyone who has an appreciation for sport will look at the behaviour of Diego Costa a few days previously. Even the most ardent football fan gets wound up by seeing the likes of Roy Keane back in the 90's surround the ref, or my biggest pet hate; the theatrical showing of a yellow card by a player in an attempt to get a player booked or sent off. One reason I do think there is that respect for the referee in rugby, is that he has up his sleeve the ability to punish sides ten metres for dissent. Footballers might cut out their back chat if a free kick became a penalty but what would happen in cricket? In all three sports you are encouraged as a young player to 'work' the umpire. An older guy at our club who took 1300 wickets in his career would chat at square leg 'buttering up' the umpire. He certainly got more than his fair share of lbw's when he would follow his new 'mate' to the end and started to bowl. With football a back four is encouraged to 'work' the linesman, whilst the likes of Austin Healey or Matt Dawson at scrum half and Lawrence Dallaglio virtually refereed games themselves. However there is a line, and generally you don't cross it. Cricket at club level is getting worse for behavioural standards. Despite leagues banning players more readily these days, it has got much worse than twenty years ago. I am not saying that all players were angelic back then, but you did get the odd bloke that even walked. Nowadays virtually every club has a game that goes off at least once a season, some four or five no doubt. I have a theory, as those of you who regularly read these pages will be aware, that this is due to sides not having a beer with each other at the end of play but I will save that one for another day. I do think though, that there is a lack of respect not only for opposition but for officialdom in club cricket. Internationally, not so sure. Although I do think that Test umpires not looking for no balls as happens these days undermines their authority. Would tougher sanctions cut out this? However, if you stood there when given lbw and royally annoyed the umpire by hanging around for ages looking aggrieved or giving him a Medusa like stare, imagine if he had the power that the next batsman to the crease would be out? Call me a hard liner, but I bet it would sort the verbals out. Or if every time you sledged a batsman, that ball became a no ball? Some may argue that Australia would be giving away a few 'sundries' but in reality they wouldn't. For there is no better side than Australia for playing on the line. Elite sportsmen know where the boundaries are, and work them to the limit but not to the extent where they get banned for serious lengths of time, unless you are Dylan Hartley or do something Hansie Cronje-esque. Even though Michael Clarke regrets saying the "broken arm" comment, he regretted getting caught and being heard by kids more than he did saying it. Occasionally you do get someone who does a Neil Back or a Paolo Di Canio, gets physical with a referee and gets a sabbatical. I don't think I have ever seen anyone 'chin' an umpire in my thirty plus years of club cricket, but I am sure it has happened somewhere - although I have heard of an umpire grabbing a player by the throat after a game once. Probably the worst I have seen in international cricket is Pakistan walking off in the no ball row, Sri Lanka doing the same thing over Murali's 'chucking' in Australia or Chris Broad smashing his stumps down once after scoring 130 odd in Australia. I think a couple of players in County Cricket got a ban this summer, one from Derbyshire and one at Somerset but I can't recall too many more. Is this because cricket doesn't have a problem or do umpires turn a blind eye to it? So imagine if umpires had more power in cricket? Would it sort out the problem of dissent or sledging? 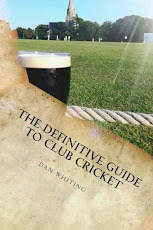 Would the wrath of letting down your team mates, like they do in rugby eradicate poor behaviour on the pitch in cricket? Could umpires handle the powers that are at their finger tips? Or would Gatt and Shakoor Rana look like a storm in a tea cup? Or do they have enough on their plate as it is? 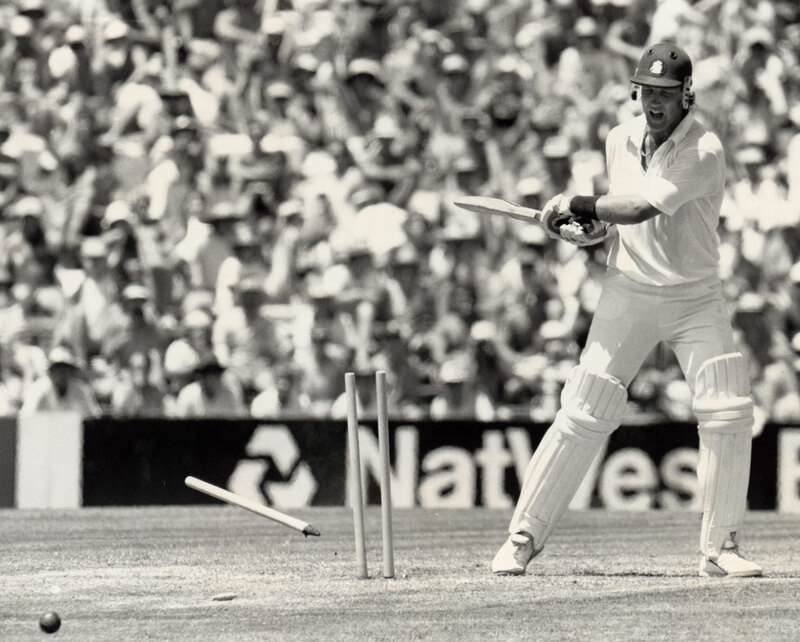 In terms of disrespecting the umpires, probably one of the worst was the West Indies tour of New Zealand in (I think) 1979/80 (watch the video of Crofty and Fred Goodall, as well as Mikey demolishing the wicket). It's probably fair, though, to say that the umpiring contributed to the problems.